On the third Thursday of every month, the Denver Museum of Nature and Science hosts an evening event for adults in the area called, Science Lounge. Their programming features live entertainment, demonstrations, hands-on demos, and an evening filled with science, education, and exploration! Each month features a different theme. 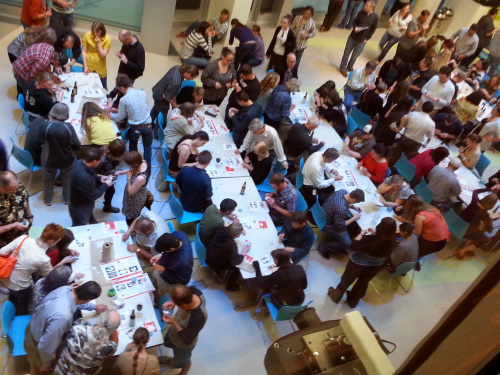 For April, the Science Lounge theme was “Electrify!” What a perfect match for us here at SparkFun! On the third Thursday of every month, the Denver Museum of Nature and Science hosts an evening event for adults called Science Lounge. The themes vary from month to month, but the programming generally features live entertainment, demonstrations, hands-on demos, and an evening filled with some snacks, drinks, and science education! 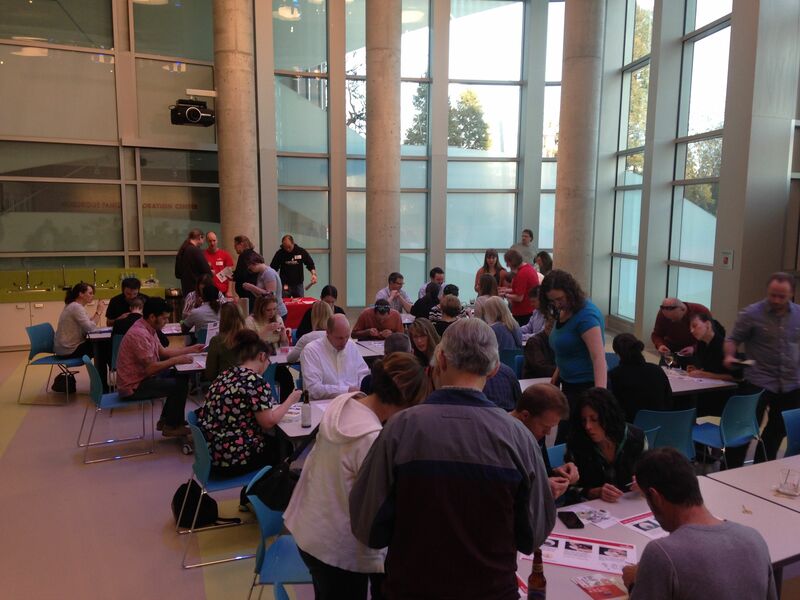 For April, the theme of the Science Lounge was “Electrify!” What a perfect match for us here at SparkFun! In addition to us, this past month's Science Lounge featured singing tesla coils and dancing ferro-magnetic fluids from our friends at Geekify!, demonstrations of Benjamin Franklin’s classic experiments with electricity, and of course, dancing to the electric slide! The folks at the museum told us that these events often sell out. We had no idea what to expect! Our area was slammed the entire night! The museum had over 600 folks come in for this evening's event! Birds-eye view of our area. I think there's nearly 70 people in this photo alone! So - what are all of these folks doing? We showcased one of our favorite activities that joins sewing, crafts, and electricity together to make a light-up pin! We started some fabric prints that we found at the folks from SpoonFlower, and pre-cut 2” circles that would be transformed into a light-up pin. These designs and patterns on these fabrics provide a canvas for us to sew in a circuit using conductive thread, a battery / battery holder, and an LED. Our new education outreach coordinator, Angela, came up with the idea of using felt circles as a backing material to sew into, and we do a final assembly using a few dabs of hot glue. The entire event was hosted in the brand new wing of the museum, a new five-level, 126,000 sq. ft area that is the new home of the Morgridge Family Exploration Center. If you haven’t been to the museum lately, this is definitely worth coming to see. It is quite the facility! Here's a shot from one end of our area. Isn't it amazing! Next month, the museum will feature “Stargazers” on May 15th. These events often sell out, so get your tickets early! All of us here at SparkFun had an amazing time, and we are definitely looking forward to future opportunities and events that we can partner with at the museum! 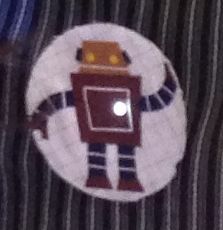 Let your geek shine and go check out the programs at the museum! We hope to see you there!